We all love an eighties power ballad don't we? Well, maybe you don't, but I can't imagine why you'd visit this page if you don't! Written by Giorgio Moroder and Tom Whitlock, "Take My Breath Away" reached #1 in the UK, U.S., Belgium, Ireland and the Netherlands, and also reached #2 in several other countries. 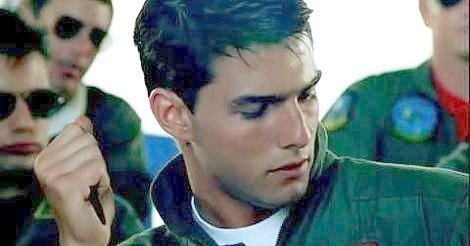 The love song spent four weeks on the top spot in the UK, and was the soundtrack to the 80's movie Top Gun. It also featured on Berlin's album Count Three & Pray, but follow-up singles weren't so successful, with "Like Flames" (1986) peaking at #47 in the UK and #82 in the U.S., although it did manage #14 in the Netherlands. The next single, You Don't Know (1986), just managed to scrape into the Top 40 in the UK, peaking at #39, preventing Berlin from becoming another 80s one hit wonder. 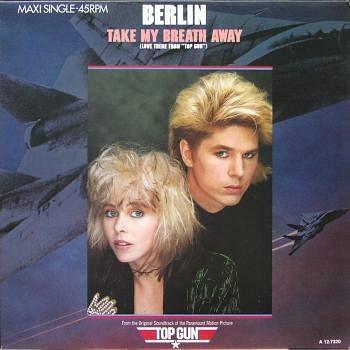 "Take My Breath Away" entered the UK charts at No.37 on October 19th 1986, and within just two weeks had claimed the top spot from Nick Berry, who fell back to No.2 with "Every Loser Wins". The single was re-released in October 1990 to coincide with the first showing of Top Gun on British TV (ITV), and this time peaked at #3. The song was also covered by Jessica Simpson in 2004. Starring Tom Cruise and Kelly McGillis (on the front of second single sleeve below), a 3D version of the movie was released during 2012, when 3D was all the rage. Jessica Simpson covered the song in 2004 for the album In This Skin, which was released as the third single. 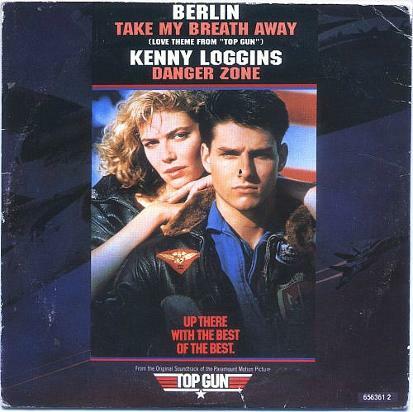 The B-side of the UK single featured Kenny Loggins "Danger Zone". However, the U.S. release featured "Radar Radio" by Giorgio Moroder featuring Joe Pizzulo, instead.